I think one of the most important decoration elements of a wedding are the flowers. Without nice wedding flowers the venue and the bride herself are not brought to their full potential. They bring the event together, give it color and energy. The beauty of the bride is enhanced with flowers, and they are the perfect symbol of love for the married couple. This does not mean that you have to break the bank to have the perfect flowers. Remember, it is not the cost of the flowers that matter, the design, color and other little details are the most important aspect of the decor. Combining the right colors and placing the flowers in advantageous places is the secret of making good use of flowers, especially at a wedding ceremony. The best way to choose your blooms is to pick the ones that are in season. You might not get to use your absolute favorite flower but you are guaranteed freshness and availability. Choosing a flower that is in season can also set the theme for your wedding. For example, narcissus is in season in the UK during the fall, so you can base the colors of your wedding according to the tones this flower has to offer. This yellow flower combined with red ribbon or another red bloom, on a backdrop of deep green foliage, is just one of the ideas you can follow. The beauty of the narcissus is best brought out in tall arrangements. For your centerpieces you could use tall glass vases filled with narcissus, and have autumn foliage sprinkled around the vases. These tall arrangements will draw the eye to the table setting, and the yellow will bring warmth to a cooler autumn wedding. Sunflowers, tulips, lilies and orchids are some other beautiful flowers that are in season during autumn in Britain. Each flower has a charm of its own making it unnecessary to look for flowers that are exotic or high in cost. 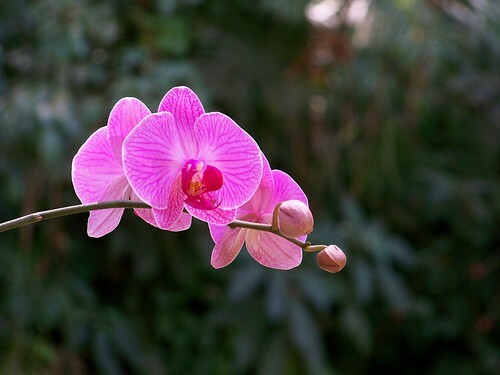 Orchids and lilies can speak for themselves with their elegant beauty. But if you are a fun-loving type of person and want your wedding ceremony to be light-hearted, sunflowers is the perfect choice. They are a reflection of the first sunny days of autumn; they are like small bits of sunshine. This is a fun flower, and combined with bright joyful colors, it can fit an autumn wedding perfectly! Sunflowers are my absolute favorite! I think they are especially pretty for outdoor weddings.